I did a scavenger hunt today for work and I'm EXHAUSTED. I literally walked around all of Central Park and my legs are dead. Thank God for DVR and air conditioning. Wow, I remember how big Central Park is...that's impressive! 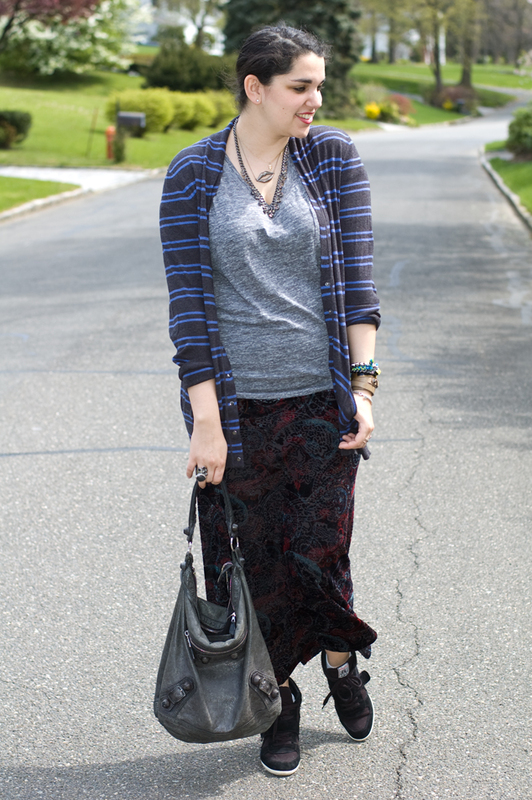 Love your skirt :) great mix of prints. i like maxi dresses and sneakers!!! im following u via blog lovin' now! cute outfit! and i love all of your bracelets! Girl, I love your ensemble! That necklace looks like you borrowed/stole it right out of the Man Repeller's blog, I love love love it! rad bracelets! 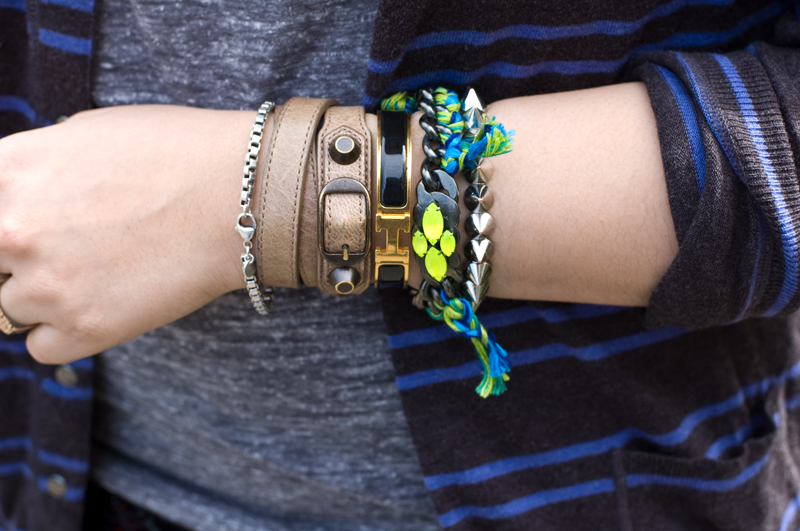 love the arm party you've got goin' on! Your blog is soo beautiful. 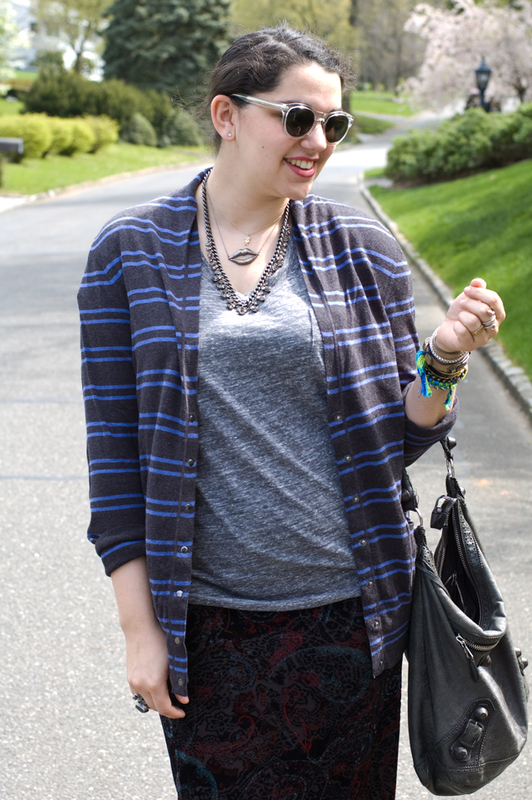 Love your layered necklaces and your mixing of metals! :) And of course your gorgeous balenciaga bag! Love that bag and those sneakers! These fantastic, I love your look. Fantastic! I love your armcandy. I wanna walk around the whole park! Next time I go to New York for sure! 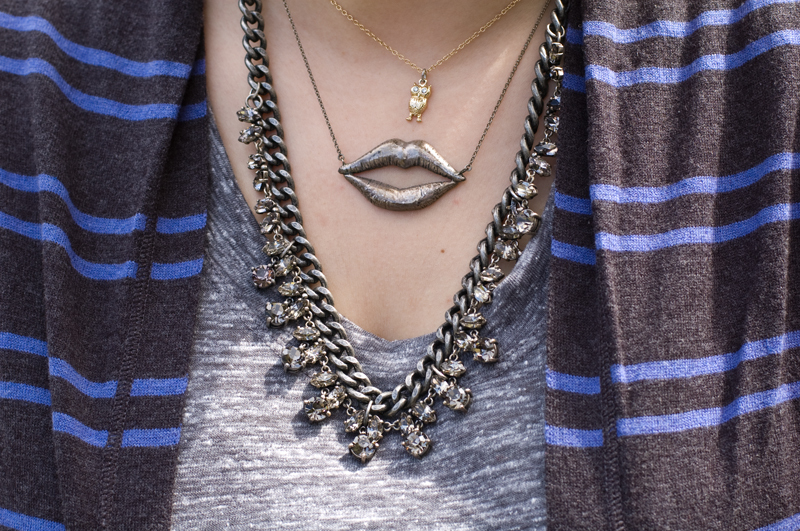 The necklace with the lips is really cool. can I please come raid your accessories? k thanks :)! nice look, love the accessories!!!! I love the outfit. Your bracelets are awesome. Follow each other? Let me know. 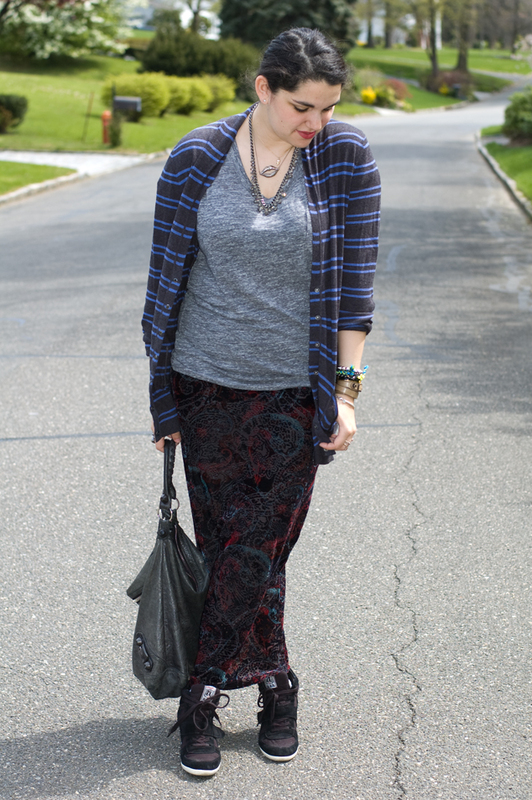 Fun mix of prints! I like your skirt! Love your style mix, and I'm totally in love with the shirt! I am so in love with the accessories!! Obsessed with all your accessories!! Fab arm candy!! loving your necklaces! the lips are too cute! great skirt, too. mink pink has great things. So pretty! That skirt is amazzzzing! seriously amazing skirt! i love your bracelets, that hermes is beautiful and i love the one that looks like a balenciaga strap. stunning! I'm obsessed with your beautiful jewelery! j'adore the clear frames and lips necklace! !